Everything is connected . . . but do you really want to know how? 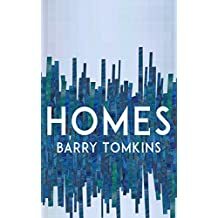 Homes (now available in Amazon Kindle e-format) What will you be doing when the end is nigh? Septima Gorse (Bone-17), pet name Daria, is on a mission in space. Daria has been assigned to help solve a terrible genetic problem facing her people. On Daria's planet, humans live loving, well-resourced lives. Many generations ago they abandoned sexual reproduction and created a stable social order based on bioengineered families of seven. Their way of life is threatened by genetic degeneration, the Drift. Throwbacks are born and hidden away. The Drift is spreading at random and the race seems doomed. A research station once formed to research the problem and find a solution has now cut off all communication with the home planet. Daria's team, a new family customized for the task, must find out what has happened and try to salvage or complete the missing science. What Daria's team discovers when they arrive at their destination will help them understand the Drift, but it will also teach them about a much deeper problem affecting not only their civilization, but all civilizations: the unravelling of the very fabric of the cosmos. When the center cannot hold, what will be the fate of humankind? You can also find Milk and my other novels at Amazon. Paperback and e-book formats available. Cast out by cold-hearted fosters, grieving the death of her sister in a terrorist group’s mass suicide, young orphan Jennifer Prothero joins the Lost Girls on the mean streets of Deem. She commits a dark deed to escape serial threats on her still-growing body and mind and flees into the wilderness where she is taken in by charitable homesteaders who have also adopted two shipwrecked humanoid aliens. These enterprising spacefarers commandeer a ship belonging to the dread Watermen, unfathomable dim creatures whose predatory visits to Earth have featured collecting flesh samples from children, videographing their terror, and abducting adults. Now footloose Jennifer, free of cultural rules for mind or body, identity in flux, uncertain of her roots, sexual orientation and place of belonging, if any, sets off on a new adventure in the stolen Waterman vessel with her genderless, voiceless alien mentors. Instead the three find themselves at the mercy of the ship, which proves smarter than its previous owners and has a different destination in mind. It takes them to a terraformed planet where they encounter more Watermen, an enigmatic human bioengineering project, a marked absence of governing intelligence, and a dwindling community of abducted Earth folk. Jennifer and friends must survive an encounter with the dangerous Watermen, help the abducted find their way home, and try to unravel the meaning of the mysterious planet. And as they struggle with these challenges, Jennifer continues the long journey of discovering her own nature and history. As usual, nothing is as it seems. Why should it be? So what is science fiction, anyway? In fact, there’s not a whole lot of real science in science fiction. You might say science fiction is fantasy with scientific pretensions, like horror is fantasy with gruesome pretensions, or minimalist fiction is fiction with, well, pretensions. This may be true, you agree, but, you say, all fiction is fantasy, unless you believe that the story you are reading is happening in real life somewhere. (In that case, you have a very special mind which should be treasured - and, possibly, mended.)True. Fiction is virtual whether it’s digital, 3-D or not. It happens in your head. So it can’t be real, can it. Most science fiction might fit well in the bucket called myth, one kind of story we’ve been telling each other to make sense of the world since we sat about the fire on the ancient plain worrying about the Wild Things. (They were us, by the way, most of the time). The older mythologies imagined supernatural folk and their antics; the modern mind imagines a fantastic natural world full of strange possibilities in an apparently infinite space. The all-powerful Zeus or Yahweh of yore has become the black hole or smart alien of tomorrow. We make up stuff to try to make sense of our lives, even the bits that haven’t happened yet. And then perhaps those eyes gleaming at the edge of the clearing will not seem so menacing. Hey, who knows, maybe those shiny eyes belong to friendly aliens who just want to share a good story. On the other hand, maybe they are the Watermen…. I enjoy writing science fiction very much. I’m delighted by the openness, the size of the canvas, the loose rules about realism. Life is scripted tightly enough in the everyday world, don’t you think, all you wage slaves out there? No need to make fictional life stay within the lines as well. My novels are all set in the 24th. century (so far – come back in a year or two and see if I’ve got any further). Each takes place in a different kind of environment – a village, a domed city, a back-to-the-land community, an artificial planet – and each story is linked to the same mystery of a race of inscrutable and dangerous aliens, the Watermen, who arrive unpredictably, seem obsessed with taking samples of children and video-recording them, and appear seriously confused about everything else. My human characters, like humans everywhere, are equally confused, of course, and have a lot on their minds besides aliens. Each novel features a number of (I hope) interesting folk, but the central figure in each is a young woman: a student of religion, an eco-terrorist, a Lost Girl, a bioengineered archaeologist and sculptor. Each is evolving in a rapidly changing society where little is clear and making up one’s own rules may be as important as anything else. There you have it: writing science fiction: making up your own rules. I wouldn’t have it any other way. You can find all three of my published novels at Amazon.